They are not shrubs, they are trees. 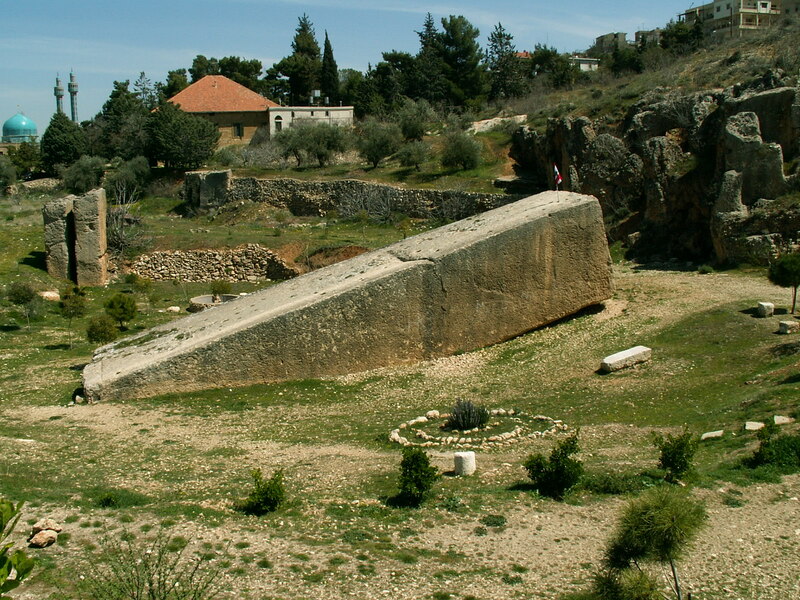 There are three monolith blocks known as the “trilithon”, used in the western wall of the Temple of Jupiter @ Balbeck in Lebanon. The name should read Bal Bekaa (valley of the Bekaa) and bears no relation to any of the middle eastern gods titled Baal. These three massive chunks of rock weigh an estimated 700-800 tonnes EACH, and boast the following dimensions… L 19m x H 4m x W 3.5m (approx). There is also an abandoned fourth block of rock that never made it to the temple. This block is estimated to weigh between 1000 -1200 tonnes! The quarry from which these blocks were cut is only a short distance away from the temple base (approx 580m-620m), so no apparent need for alien assistance here, just the combination of human strength & brain power, and maybe a herd of large four legged mammals. 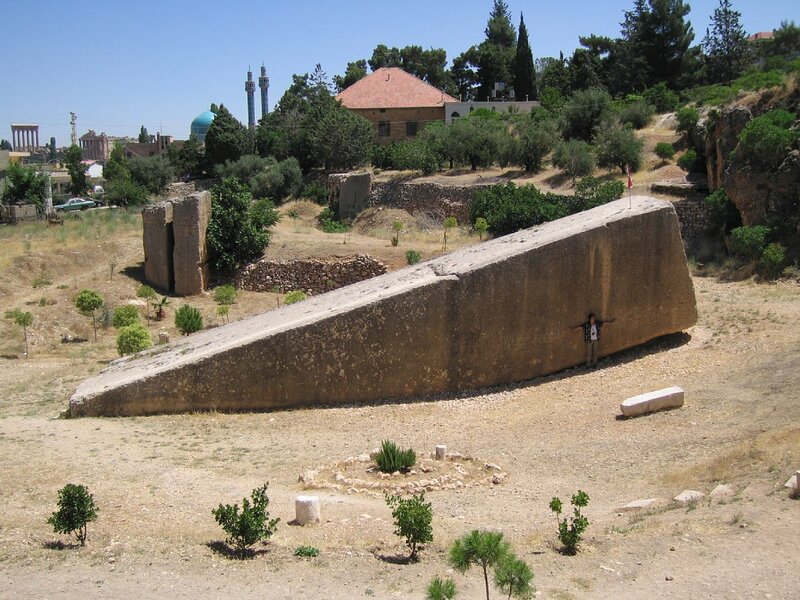 The floor of the quarry is approximately 15 metres higher than the final situations of the 3 inserted blocks in the second course of the western wall of the baalbeck plaza. So it is feesible to say at no time in transit did any of the blocks need to be raised, they simply had to be dragged downhill… and slid into place. Please forgive my use of the word simply, i dont mean to lessen in any way this amazing human feat, I merely mean to emphasize that there seems to be no need for a complicated or fantastical explanation for the transportation of these humongous blocks of rock or how they were lifted into place. 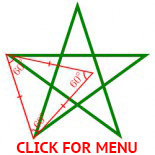 Gravity simply assisted man & beast to drag the blocks a very short distance downhill. It would seem this was no easy task for the engineers of the day, because they did not build the entire temple base with blocks of a similar size. I think by the time it came to attempting to move the abandoned block, they realised they had bitten off a little more than they could chew and resorted to using smaller blocks of a more manageable size. The Germans excavated down into the foundations that lay beneath the temple. They found the subterreanean masonry to be of a typical Roman style and building technique. 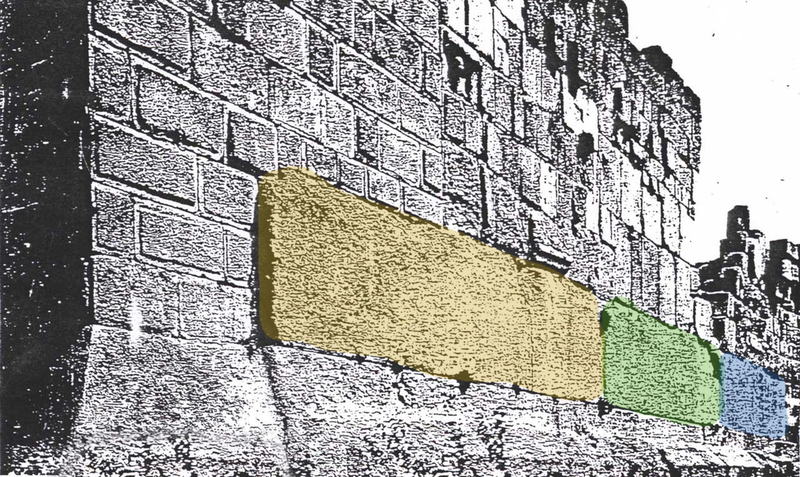 Some people have suggested that the Trilithon are reused blocks from an earlier age/building, but todate, there is no alternative evidence to suggest an origin other than that of the Romans. But never the less they are still absolutely amazing!